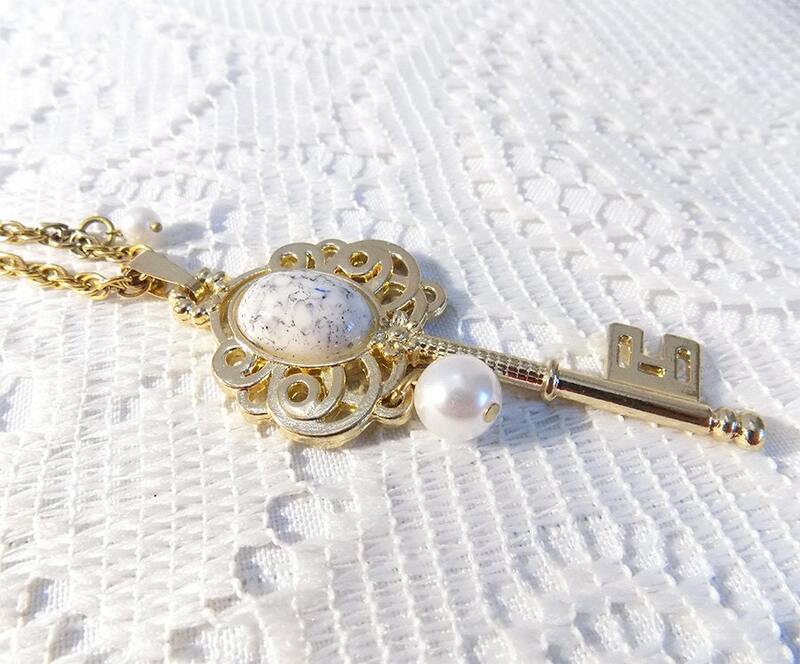 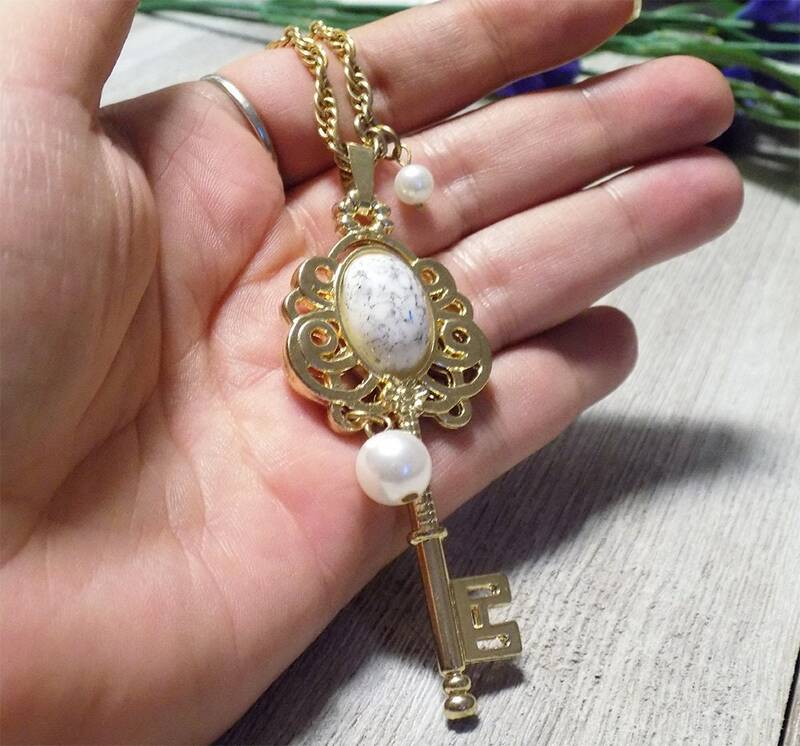 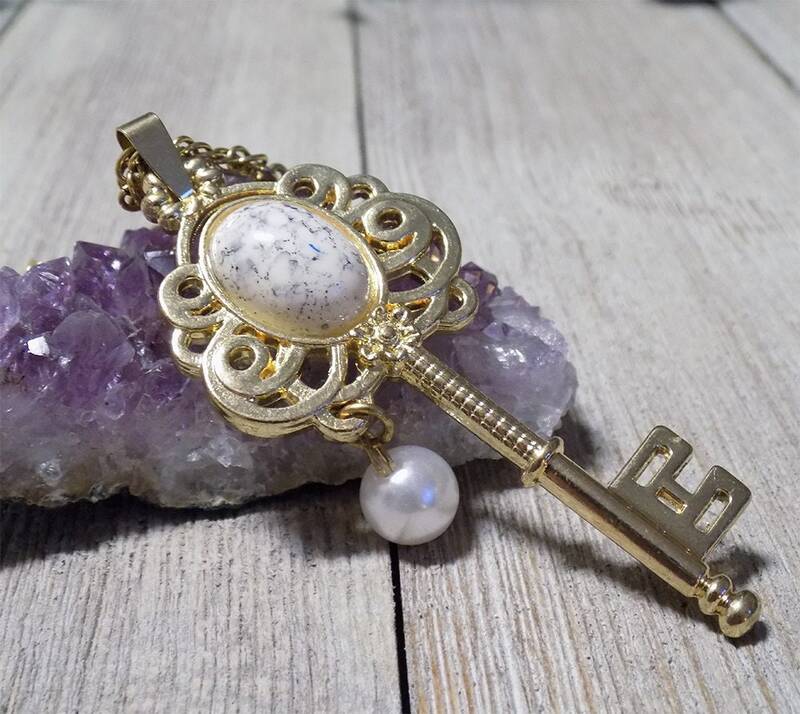 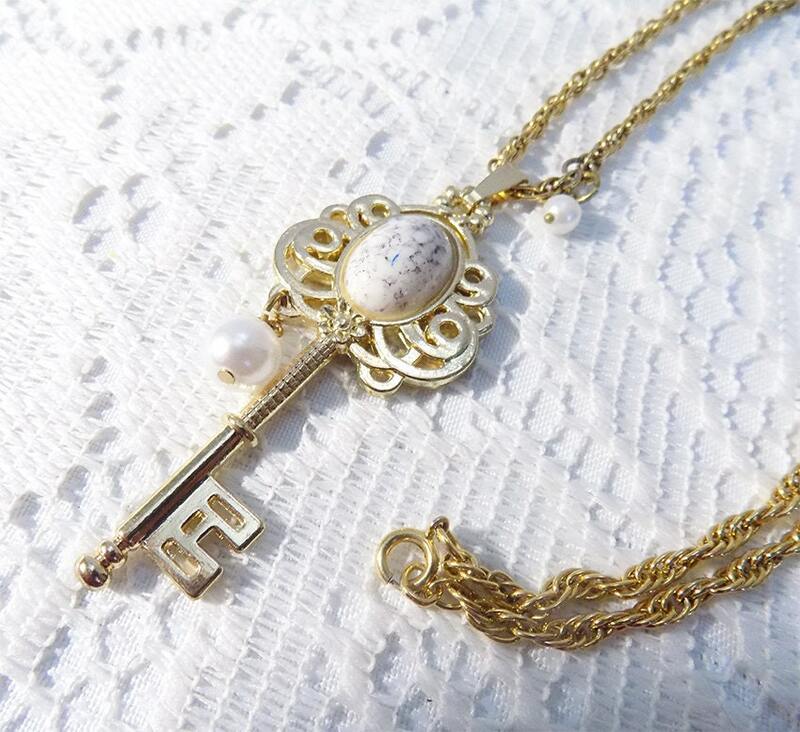 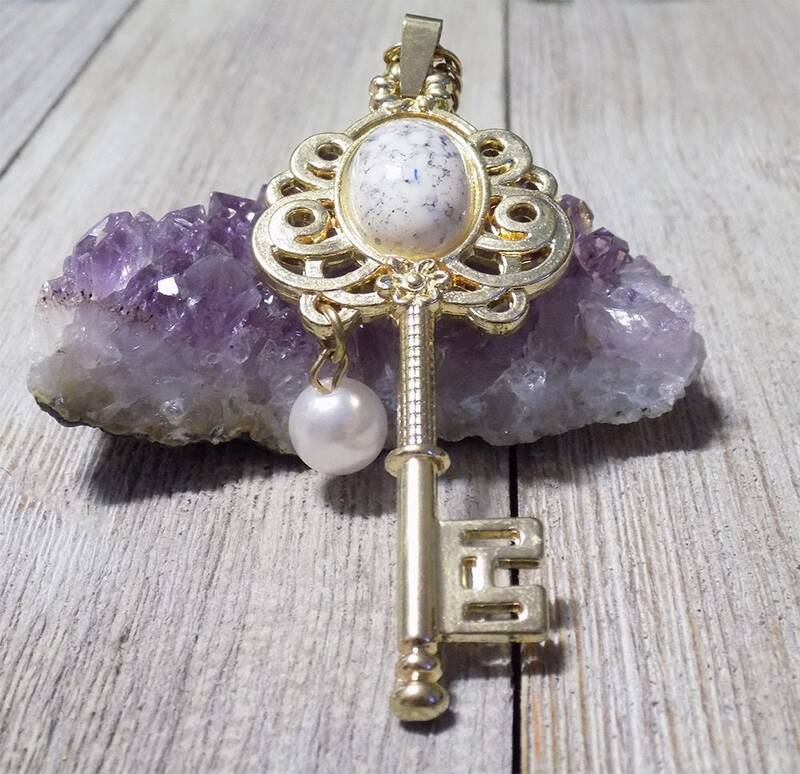 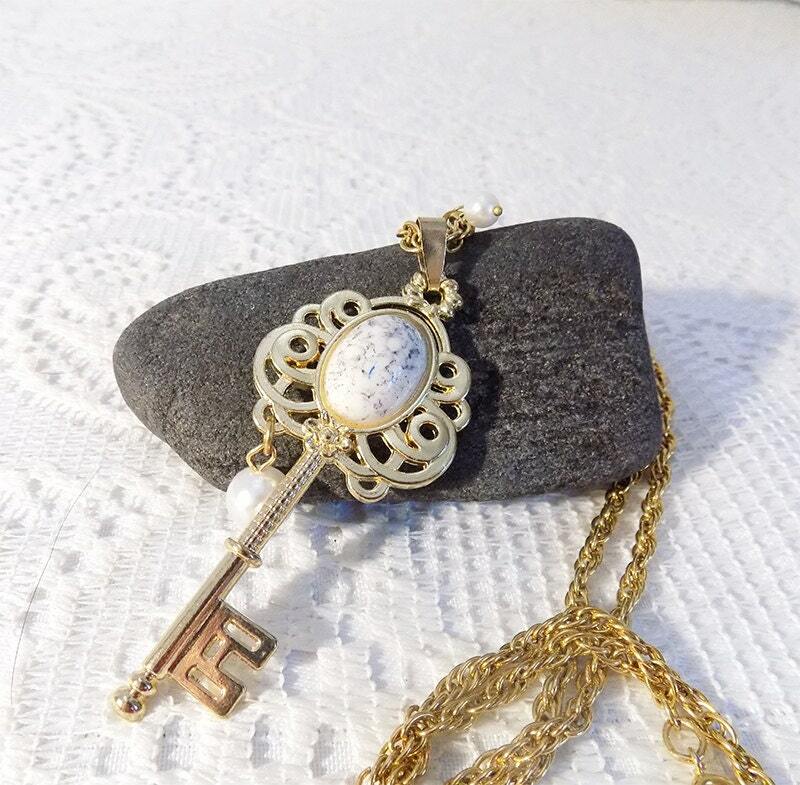 This unique necklace features a gold tone large ornate key with a pearl like cabochon in the center. 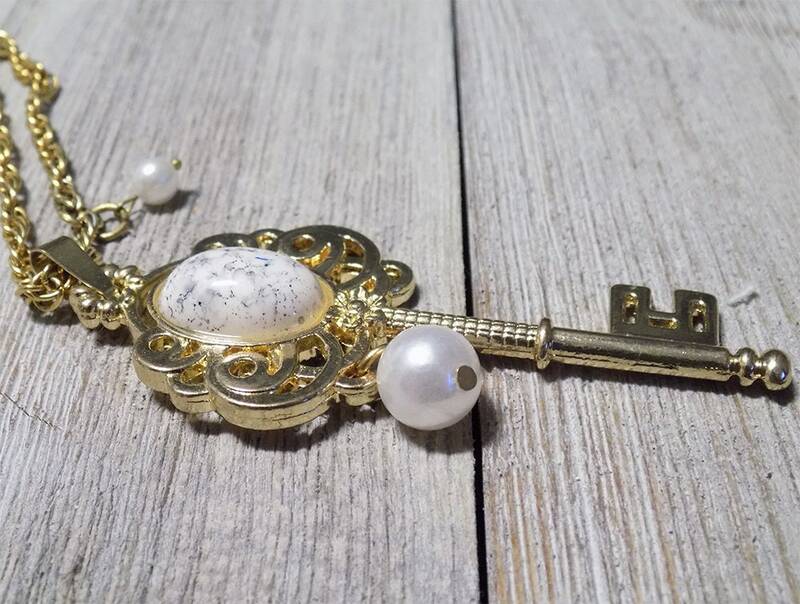 The left side of the key dangles a single pearl bead while the right side has a smaller pearl attached to the chain portion of the necklace. 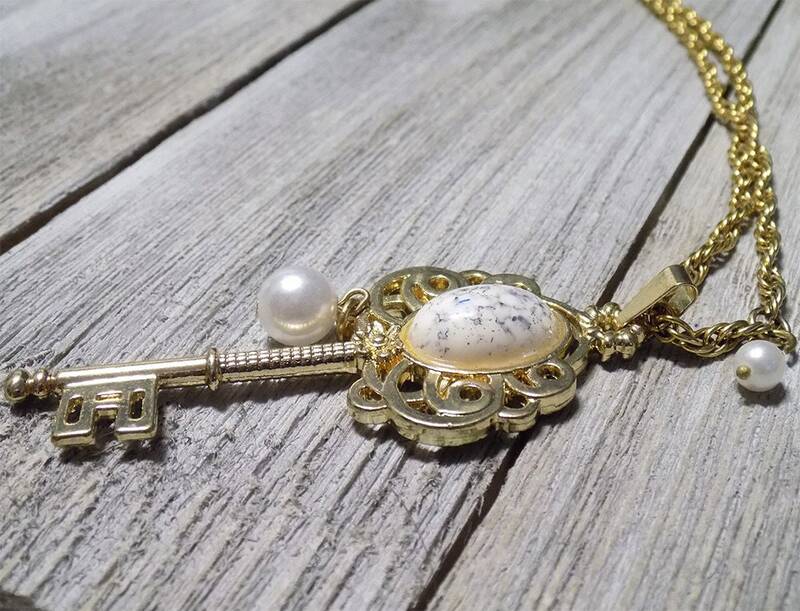 The chain is finished with a simple lobster clasp. 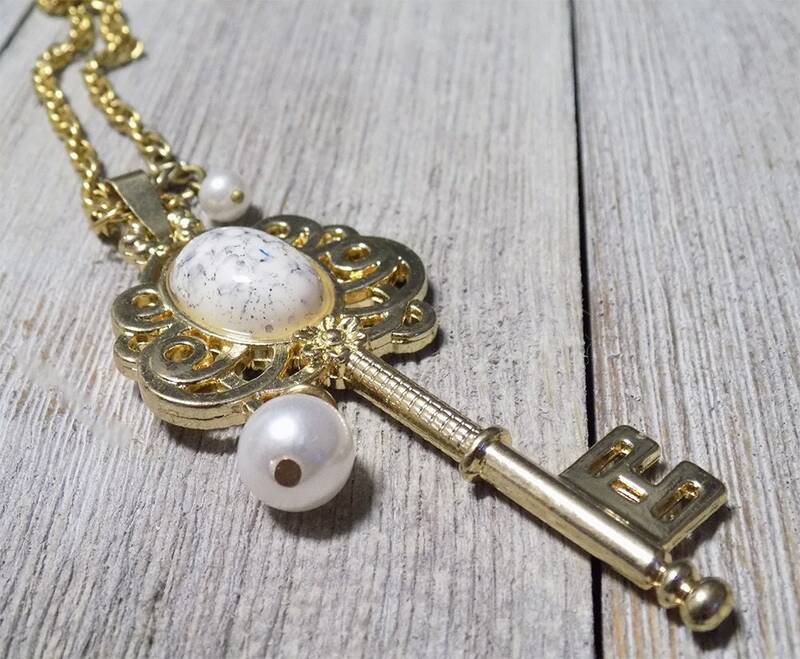 This necklace measures approximately 30" while the key itself measures 2x4".